As temperatures rise everything gets more colourful even your makeup! Hair gets into the act too with relaxed waves that don’t compromise on volume. Softly teased hair, smooth with just enough volume is the effortless hallmark of summer. 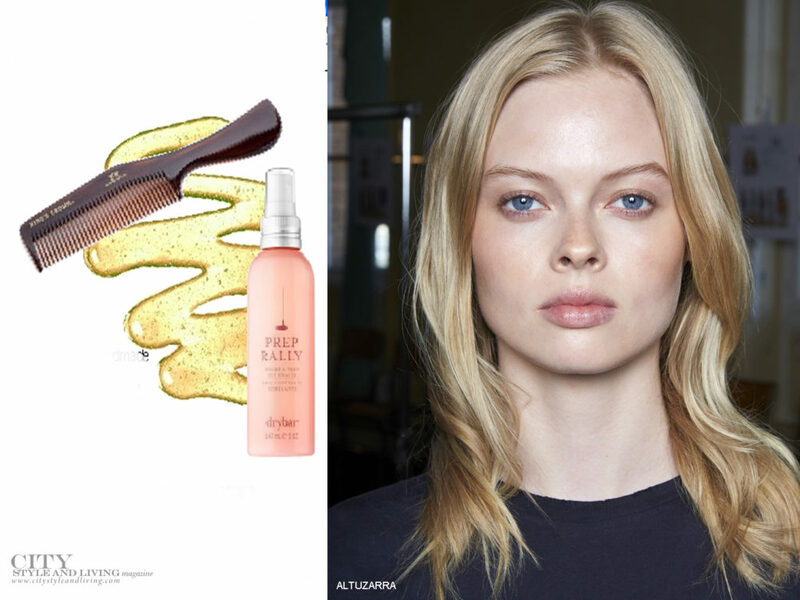 For bouncing, beautiful locks, in place of leave-in conditioner, use a treatment oil on dry hair before shampooing. Then apply shampoo to scalp only before wetting hair. Rinse and spray with a no-rinse detangler. Once dry, take a section of hair from the crown and hold it a few inches from the ends. Using a plastic comb, firmly stroke hair downward to get lift. Then gently smooth top layer of hair back. It’s a great way to add height and volume in just a few strokes. Conditioner can dull hair and weigh it down, so this routine ensures your style holds longer and looks shiner. It’s hot outside so your makeup starts to feel heavy and air conditioning dries out your skin. The remedy? Choose a creamy shimmering bronzer and swipe in broad strokes along the top of cheekbones, arch of brows and tip of top lip for luminous glow. Glossy, tinted lips make for the perfect pout, just avoid pale, matte lips which can make you look washed-out. Finish your no-fuss makeup with cream blush for a natural flush. The easiest way to introduce colour is all in the eyes. Wallflowers need not apply! The newest dazzling shadows in fiery colours are the season’s statement look. Too keep it fresh and modern, opt for a pale tone on the entire lid, and then smudge colour on bottom lid. Blend an orange-red hue into the crease and dark red along the lash line. Alternatively, choose two complimentary tones and layer on top and bottom lids. For extra fun add a metallic cream shadow too. Red lips can come off as a little too formal for summer. 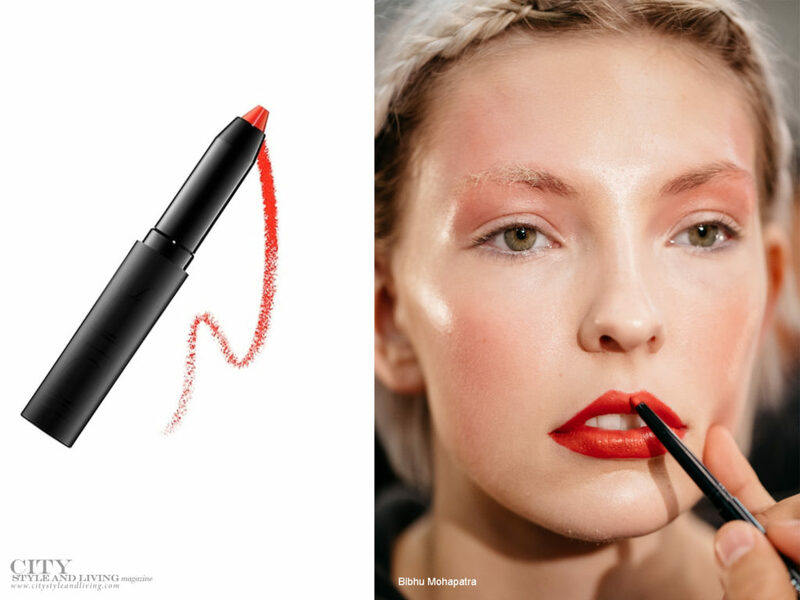 Why not lighten up with bright lips in matte red-orange? If you need to do your makeup in a flash, choose a lip pencil which allows you to precisely fill in lips. To keep it from looking fake, use your finger to blend colour. 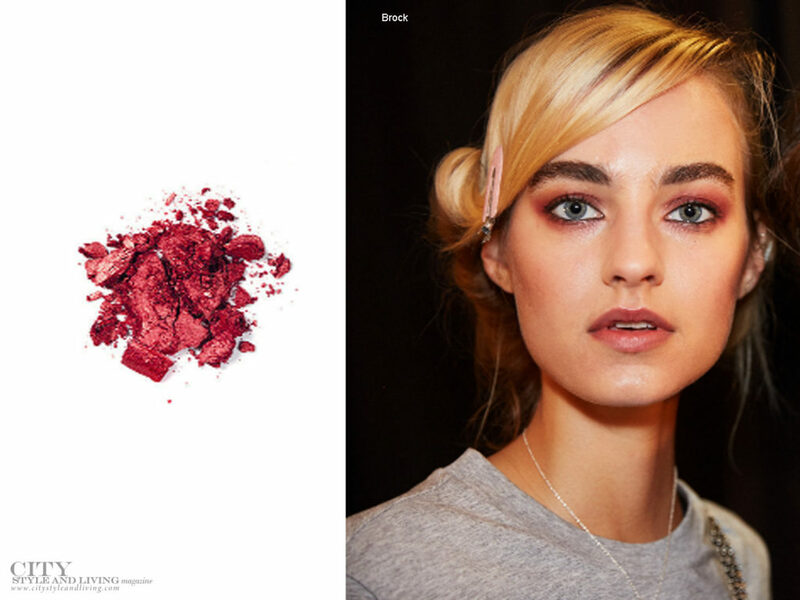 Create a vibrant lip by layering colours to find the shade that’s perfect for your skin tone. It’s the right kind of pick-me-up. This original beauty article first appeared in the Summer 2018 issue of City Style and Living Magazine.